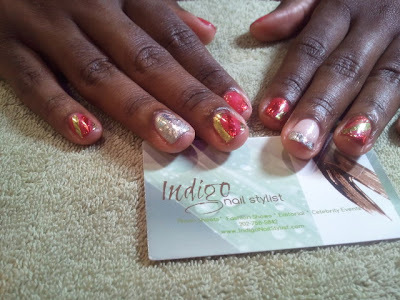 After the success of my "Candy Corn Manicure" I couldn't wait to see what nail stylist Indigo Smith had up her sleeve for the holidays. 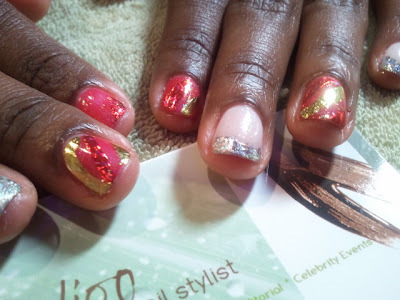 This festive Shellac & foil manicure did not disappoint. 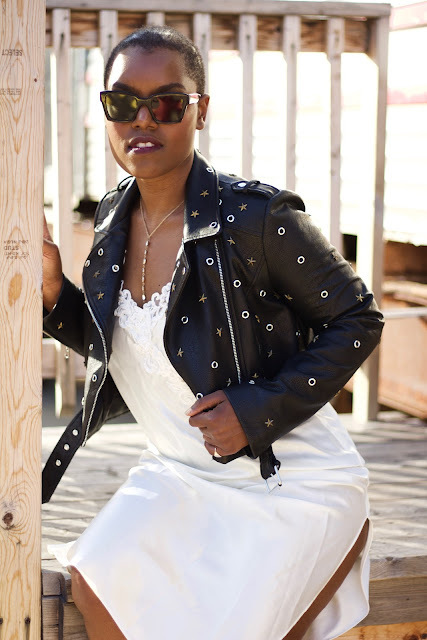 Last year I made it my New Year's Resolution to begin my own beauty regimen and it has been so rewarding! 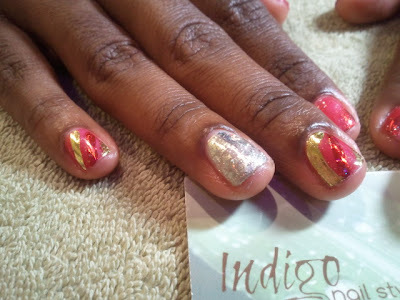 Check out my other fancy manicures by Indigo...here and here. Schedule an appointment at Indigo's Capital Hill salon today! Have a Happy Holiday & a Beauty-full New Year! Great ideas! I need to try and experiment more with my nails! Happy New Year!